A quick view of the most influential metrics in Oviedo. Oviedo is an award-winning town with honor rankings like on Money Magazine’s 100 Best Places to Live is Oviedo from 2009, Oviedo also appears on Family Circles Top 10 Towns for Families list in 2011 and lastly an appearance on Businessweek’s Best Places to Raise Kids in Florida is OVIEDO, list in 2013. Both the Econlockhatchee River and the Little Econlockhatchee River run through the southern portion of the city. With a numerous weekly Farmer’s Markets, Black Hammock Adventures, Twin Rivers golf course there are numerous of outdoor activities for all to enjoy. Lucas Nursery is a one stop shop to beautify your home inside and out. And while you are there, don’t forget to stop by the Butterfly Encounter. The Oviedo Gym & Aquatic Facility offers an Olympic sized swimming pool, Gym, fitness room, an indoor rock climbing wall, basketball courts, volleyball and even summer camps for the kids. One of the most unique features of the city are the chickens that roam the downtown area causing traffic to stop now and then so they can cross the roads. These chickens are given protection by the same ordinances that protect other birds in the city making it a sanctuary for feathered creatures. 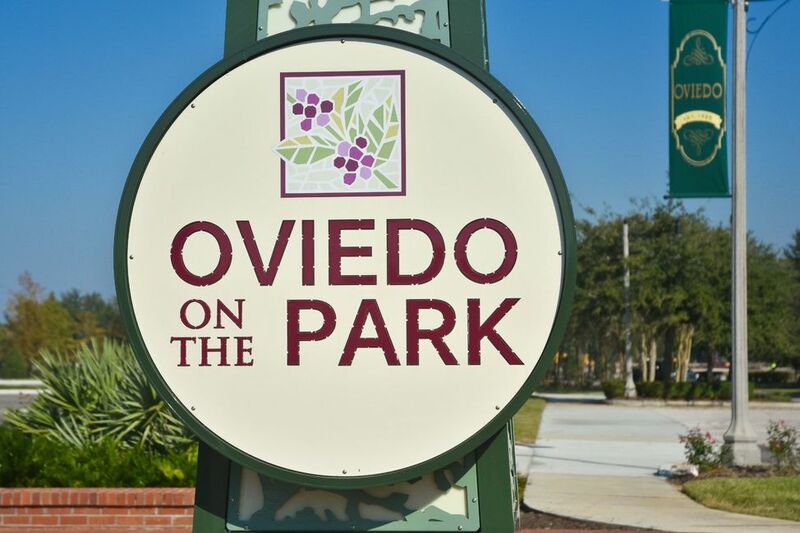 The city of Oviedo has multiple annual events at and around the community gathering spot, Oviedo at the Park: Movies in the Park, Taste of Oviedo, The Marshmallow Drop at Easter, Independence Day Celebration, Arbor Day, Halloween events, Great Day in the Country in November and Snow Mountain in December. The modern history of Oviedo begins in 1865, when homesteaders arrived to make their homes on the shores of lake Jesup. Early settlers loved the rich soil in the area and primarily made their livings through agriculture raising celery and citrus fruits. Up until 1879 the settlement was known as the Lake Jesup Community, when the first post office was established and the name Oviedo was applied to the community. Oviedo was officially incorporated as a city in 1925 and has continued to grow since. Excellent rated Seminole County Public Schools are all over Oviedo, which are a total of six elementary schools, two middle schools, and two high schools. Private schools in the area are: The Master’s Academy, St. Luke’s Lutheran School and Tuskawilla Montessori Academy. Oviedo features many kinds of homes such as lakefront homes, single story and two story homes, golf course houses, bank owned homes and more. The price point for homes in Oviedo range to accompany first time homeowners through luxury properties. Other real estate options include apartments and townhomes for rent or for sale. Jeremy and Jody Deabenderfer look forward to help you explore the neighborhoods and to help you find a new home in Oviedo. View our selection of available properties in the Oviedo area. Check out the latest demographic information available for Oviedo. Browse through the top rated businesses in the most popular categories Oviedo has to offer.